We carried out this meta-analysis for the aim of exploring the influence of diabetes mellitus (DM) on the prognosis of patients with ischemic stroke. 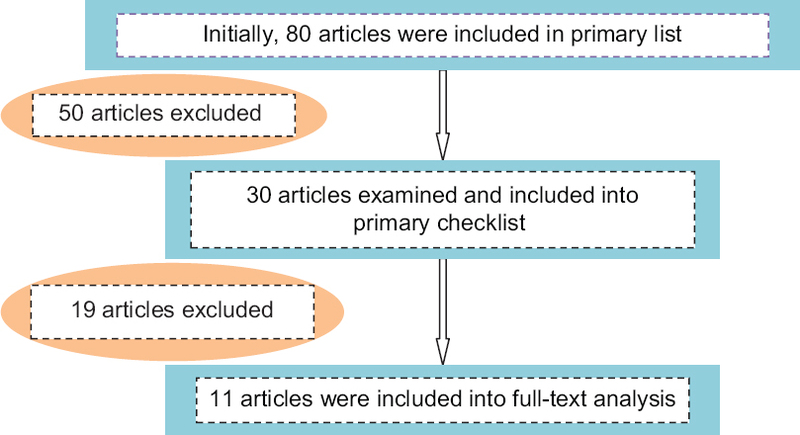 Relevant studies were identified using computerized databases supplemented with manual search strategies. The included studies were strictly followed the inclusion and exclusion criteria. Case-control studies which related to the influence of DM on the prognosis of patients with ischemic stroke were selected. Statistical analyses were implemented with the STATA version 12.0 statistical software. 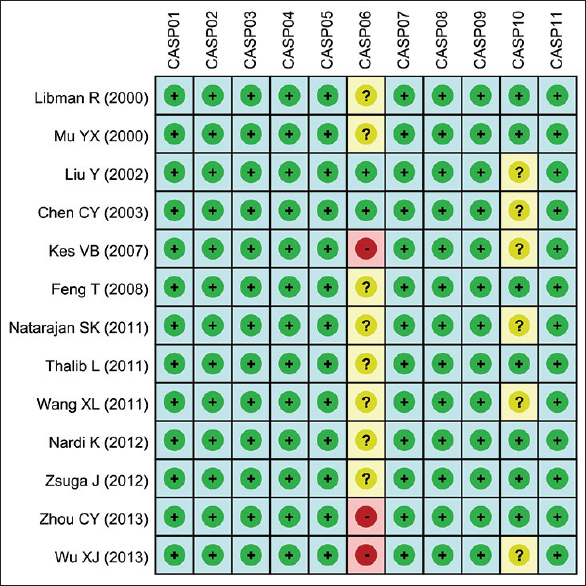 Our current meta-analysis initially retrieved 253 studies (227 in Chinese and 26 in English), 13 studies (6 in English and 7 in Chinese) were eventually incorporated in this meta-analysis. These 13 case-control studies included 8463 patients altogether (3249 patients with DM complicated with ischemic stroke and 5214 patients with ischemic stroke). The results of this meta-analysis manifested that there was a significant difference of the blood glucose level at 48 h after stroke between patients with DM complicated with ischemic stroke and patients with ischemic stroke (standard mean difference [SMD] =1.27, 95% confidence interval [CI] =0.02–2.51, P = 0.047); however, the effectiveness, fatality, and the National Institutes of Health Stroke Scale (NIHSS) score in patients with DM complicated with ischemic stroke, and patients with ischemic stroke had no significant difference (effectiveness: risk ratio [RR] = 0.88, 95% CI = 0.75–1.03, P = 0.121; fatality: RR = 1.29, 95% CI = 0.97–1.71, P = 0.081; NIHSS score: SMD = −0.14, 95% CI = −1.56-1.28, P = 0.849). The current evidence suggests that there is statistical difference of the blood glucose level at 48 h after stroke between patients with DM complicated with ischemic stroke and patients with ischemic stroke, but there is no statistical difference of prognostic indicators between patients in two groups. Thus, our study provides certain clinical value. Original Article: Is application of Kinesio tape to treat hyperlordosis more effective on abdominal muscles or hamstrings? Original Article: Does topical tranexamic acid reduce postcoronary artery bypass graft bleeding? Background: Postoperative bleeding is a common problem in cardiac surgery. 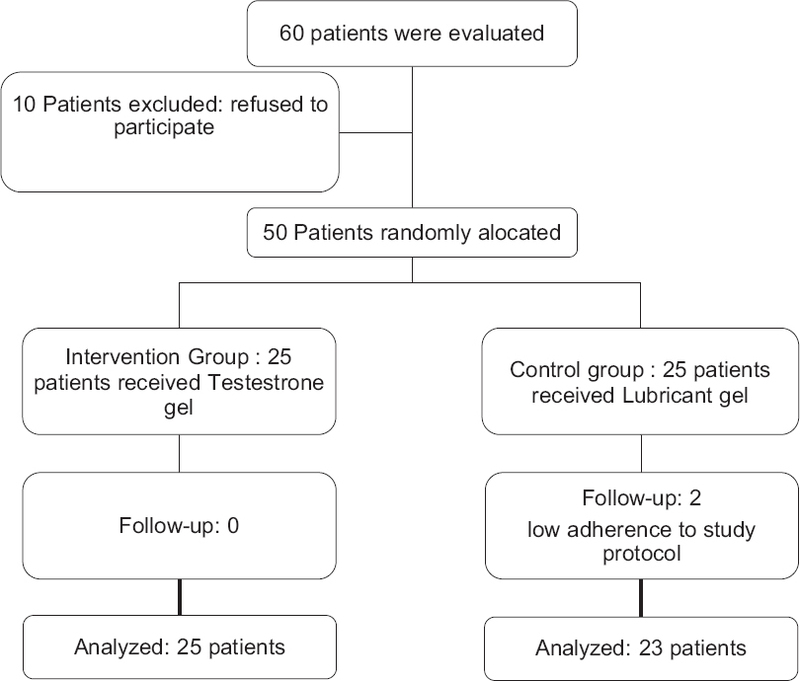 We tried to evaluate the effect of topical tranexamic acid (TA) on reducing postoperative bleeding of patients undergoing on-pump coronary artery bypass graft (CABG) surgery. 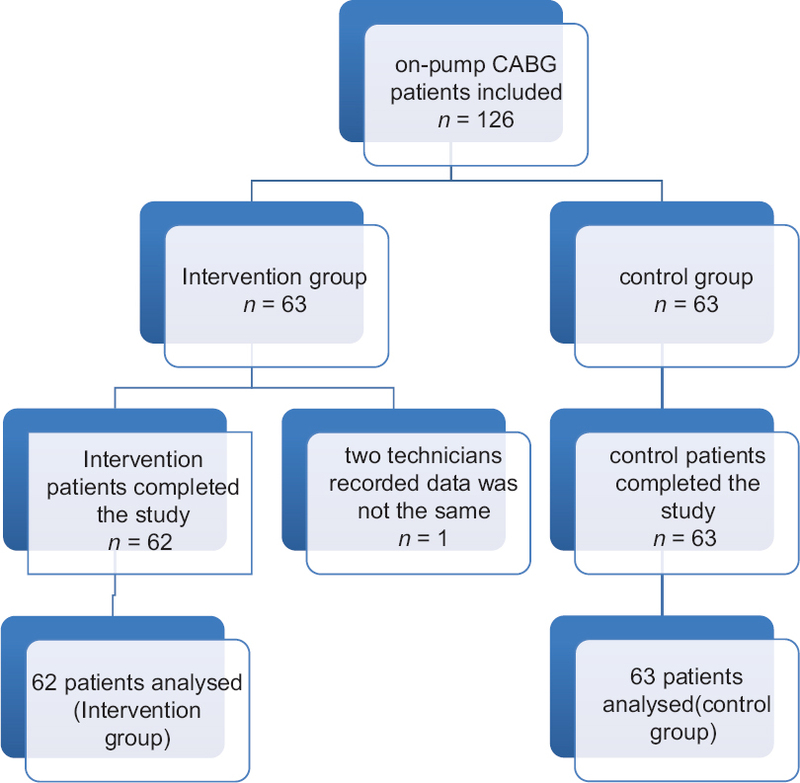 Materials and Methods: One hundred and twenty-six isolated primary CABG patients were included in this clinical trial. They were divided blindly into two groups; Group 1, patients receiving 1 g TA diluted in 100 ml normal saline poured into mediastinal cavity before closing the chest and Group 2, patients receiving 100 ml normal saline at the end of operation. First 24 and 48 h chest tube drainage, hemoglobin decrease and packed RBC transfusion needs were compared. Results: Both groups were the same in baseline characteristics including gender, age, body mass index, ejection fraction, clamp time, bypass time, and operation length. During the first 24 h postoperatively, mean chest tube drainage in intervention group was 567 ml compared to 564 ml in control group (P = 0.89). Mean total chest tube drainage was 780 ml in intervention group and 715 ml in control group (P = 0.27). There was no significant difference in both mean hemoglobin decrease (P = 0.26) and packed RBC transfusion (P = 0.7). Topical application of 1 g TA diluted in 100 ml normal saline does not reduce postoperative bleeding of isolated on-pump CABG surgery. Conclusion: We do not recommend topical usage of 1 g TA diluted in 100 ml normal saline for decreasing blood loss in on-pump CABG patients. Background: Due to the high incidence and prevalence of infection in neonatal ward, especially Neonatal Intensive Care Units (NICUs) reported by different studies and the important role of colonization with hospital germs in the development of nosocomial infections, we intended to evaluate the risk of colonization with hospital germs in neonates and its associated risk factors. Materials and Methods: This cross-sectional, descriptive-analytical study was conducted in 2016 in a Teaching Center in Iran. In total, 51 neonates were selected based on the inclusion criteria, and after recording their information in a checklist, samples were taken by swab from outer ear, axilla, and groin for culture. Neonates with negative culture from mentioned regions were enrolled in the study. The swab samples again were taken and sent for culture from mentioned regions in at least 3 days after hospitalization. Culture results from first and second sampling were collected and analyzed statistically. Results: This study was conducted on 51 neonates. The mean gestational age among the neonates ranged from 35.25 (Week) ± 2.98. 22 girls (43.1%) and 29 boys (56.9%), most of them were born by cesarean. Based on the results of logistic regression, a significant association was found between the occurrence of colonization of hospital flora and the place hospitalization of the newborns (odds ratio (OR): 4.750; 95% confidence interval (CI): 1.26–17.85). Conclusion: This study revealed that the only risk factors of colonization with hospital flora in neonates are the type of delivery and place of hospitalization. Based on findings of the study, it is recommended to focus on efforts in increasing the rate of natural birth as well as improving conditions of infection control in NICUs to reduce the number of incidences of colonization with hospital flora in neonates. Background: Awareness of observed and expected incidence of cancers is so important in managing cancer as the third mortality cause in Iran. In the present study, we evaluated observed and the expected incidence of common cancers in Chaharmahal and Bakhtiari province. Materials and Methods: This study is a Secondary data analysis. All data about pathology-based cancer registration (Cancer diagnosis was based on pathological laboratory, ICD-O2) in Chaharmahal and Bakhtiari in Southwestern Iran in 2010–2014 was used. By dividing the number of registered cases of each cancer in every age group into the total observed cancers in that age group, the observed ratio of each cancer in that age group was calculated. Then, using the proposed coefficients Parkin and age-standardized cancer ratio method, the expected ratios in each age group, were calculated. Results: In 5 years study, 2918 new cases of cancer were recorded. Out of them, 1735 (59.46%) were male. The annual average total occurrence of all cancers in this province was 68.2/100,000 populations. The observed incidence ratios of common cancers, including stomach, breast, colorectal, thyroid, lymph nodes, ovaries, gall bladder, the bladder and the brain, were 0.11, 0.12, 0.09, 0.06, 0.02, 0.03, 0.01, 0.08, and 0.05, respectively. The expected incidence ratios of above-mentioned cancers are 0.11, 0.13, 0.1, 0.06, 0.02, 0.03, 0.01, 0.08, and 0.05, respectively. Based on observed (O) and expected (E) comparison, breast and colorectal cancer had higher incidence than expected ratio. Conclusion: Our results showed that in our area, treatment programs and health plans should focus on cancer registration, especially on common cancers and reevaluate breast and colorectal cancer occurrence. Therefore, the plan for the control and prevention of this cancer must be a high priority for health policymakers. Background: Normal size of mesenteric lymph nodes has not been well evaluated, as these lymph nodes are small but may be seen frequently in computed tomography (CT). The aim of this study is to determine the prevalence of mesenteric lymph nodes at root of mesentery and mesentery itself. Materials and Methods: This is a cross-sectional study on traumatic patients with normal multidetector CT (MDCT) referred to Al-Zahra Hospital in 2014–2016. The largest short axis of lymph nodes was recorded. Their location was divided into three groups of mesenteric root, peripheral mesentery, and mesentery of the right lower quadrant (RLQ).Size and number of lymph nodes in terms of locations were recorded. A number of more than 6 nodes in a position was defined as cluster nodes. Data were analyzed using SPSS software version 20. P < 0.05 was considered statistically significant. Results: Four hundred traumatic patients underwent MDCT scanning. The mean age of these patients was 36.6 ± 13.4 years. 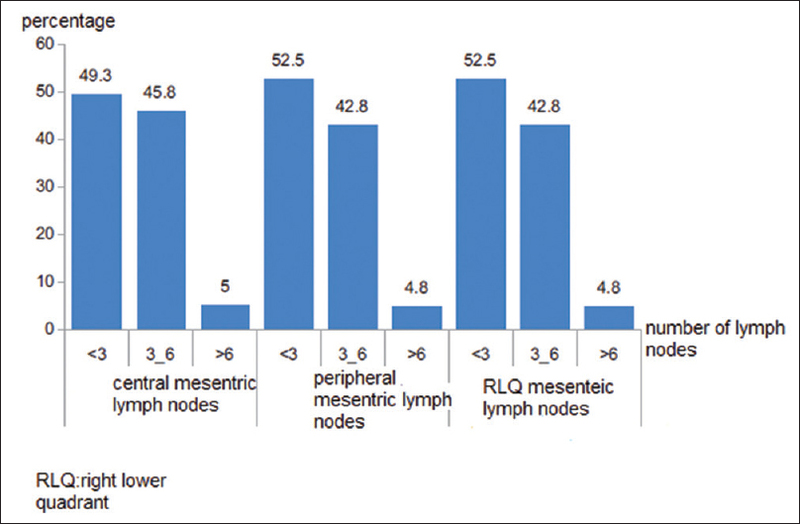 The number of lymph nodes was <3 in 49.3%, 52.5%, and 52.2%; 3–6 in 45.8%, 42.8%, and 42.8%; >6 in 5%, 4.8%, and 4.8% of central, peripheral, and RLQ mesentery, respectively. The average size of largest central, peripheral, and RLQ lymph nodes was 4.53 ± 1.33, 4.37 ± 1.68, and 4.37 ± 1.68, respectively (P = 0.64). Largest size of short axis in patients with cluster lymph nodes was significantly more than noncluster nodes (P < 0.001 for all regions). Conclusion: Mean size of mesenteric lymph nodes was similar to the previous study, but the largest nodes were considerably larger. Furthermore, largest short axis of cluster nodes was significantly more than noncluster ones.